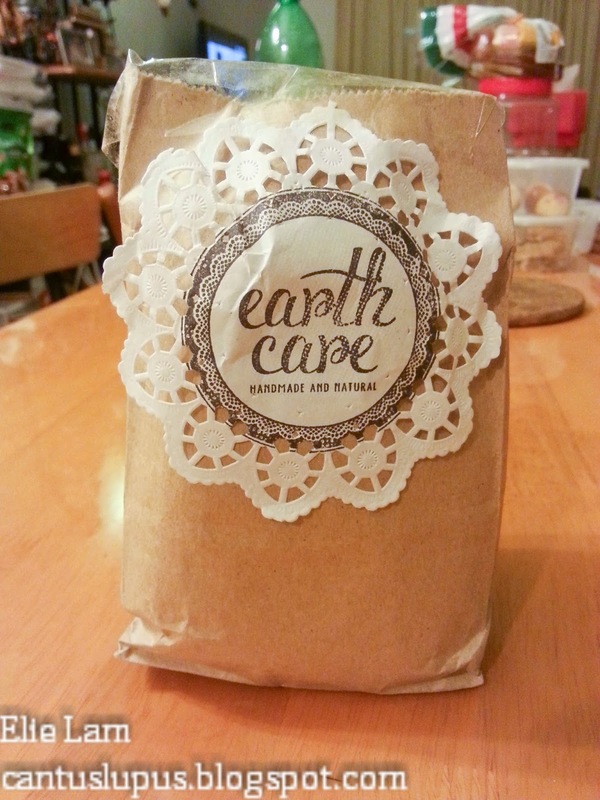 Backing away from my momentary sadness from losing a job I quite enjoyed, the arrival of Earth Care's soap and scrub that I won from Isabel's giveaway got to me at an extremely apt time. Imagine when you come home to this on your last day of work! 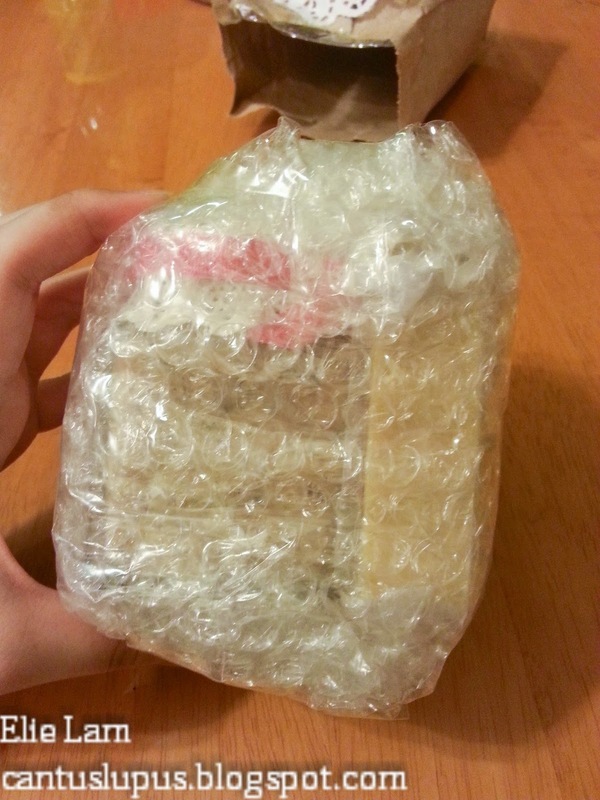 I trust Samantha from Earth Care was worried that the post people wouldn't give much bother about the parcel so the package came in layers of bubble wraps, perfect for popping fun after opening it up! Just a little background on Earth Care before I proceed. Earth Care sells organic skincare products that are 90% to 100% vegan using only quality ingredients derived from plant-based materials. What's meant by a little less than 100% vegan could be that they include ingredients such as beeswax, honey, milk from cows or goats, and yogurts. Earth Care products are strictly against animal testing and do nor use lard or tallow. Organic handmade bodyscrub and bodysoap for the win! Personally, I've never put much thought into organic items, much less bodyscrubs and bodysoaps. While I swore to vigorously apply lotion after showers, that died down after a little bit so I am now making a mental note to fall in love with bodyscrubs and organic handmade bodysoaps just so my skin is less dry from now onwards. Fingers crossed that I won't abandon this dream midway. And a really adorable carving to boot. 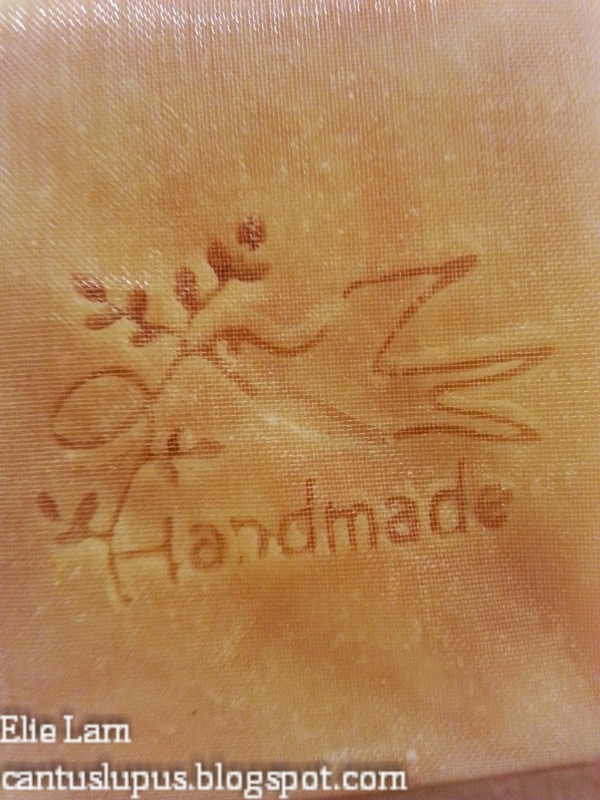 The variant that I got was the carrot & turmeric organic handmade bodysoap that helps to boost the skin's glow that's especially useful for dry and dull skins. It was almost like someone from Earth Care was stalking me beforehand because that's exactly what I'm experiencing. In fact, there's been little marks on my hands and fingers of which I believe are pigmentation marks right now so that should just about explain how my skin is. The blend of smells from this soap is amazing. It wasn't overly strong and lathered just right with the correct amount of water mixed to it. From what Isabel suggested, I cut off a little piece off the bar so the rest of it does not get wet and can be kept for longer use. This could well replace my anti-bacterial shower gel now because I really love how the skin feels comfortably refreshed and the scent that the soap itself gives out. This 100g bar sells for RM 18 and comes in a really nice looking bag asides to the intricate carving on the bar itself. 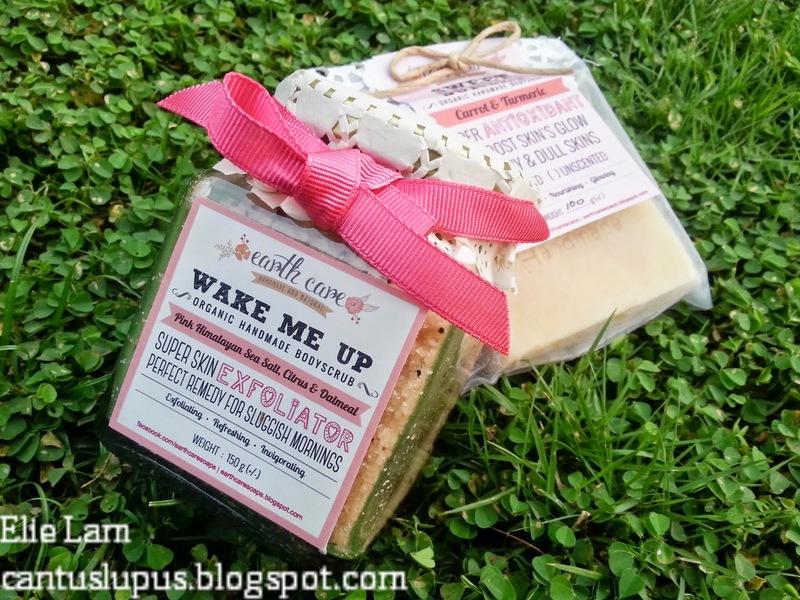 Infused with pink Himalayan sea salt, citrus & oatmeal. For someone who hardly uses bodyscrubs because I've never quite believed in things like this, I've fallen completely head over heels for this. A twist of the cap gives you that refreshing citrus scent and the blend with oatmeal makes it actually smell like cake batter. I am not kidding. 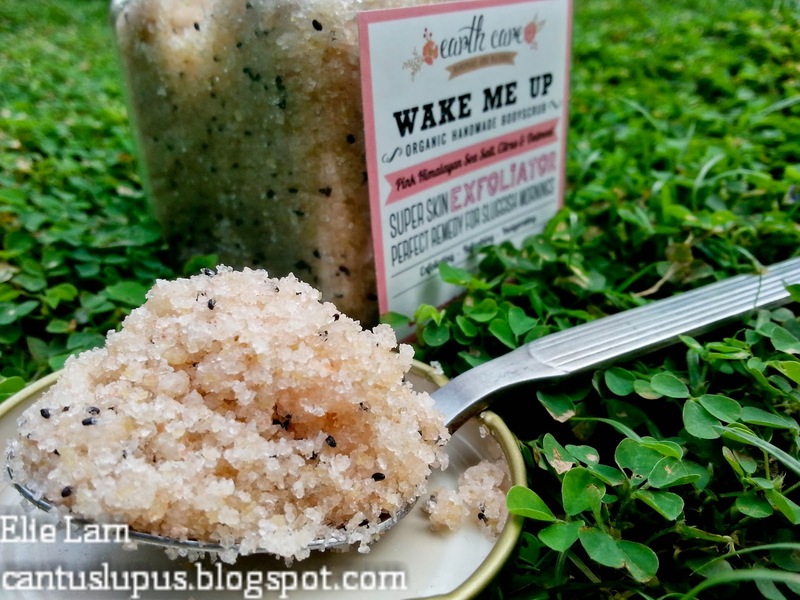 It actually smells like the batter for any lemon cakes that you would make so if you're a lover of these yummy treats, you will LOVE this bodyscrub. I thoroughly enjoyed using the bodyscrub every 2 days in a week's time and I found myself fairly refreshed after each scrub. It was almost like telling my skin that it's time to get pampered and that was exactly how I felt. While I also thought I may dislike the feeling after if it did give me that oily touch but to my surprise, there was no oily feeling after my shower even when the ingredients does say it uses coconut oil, sweet almond oil and grape seed oil. What a bliss. 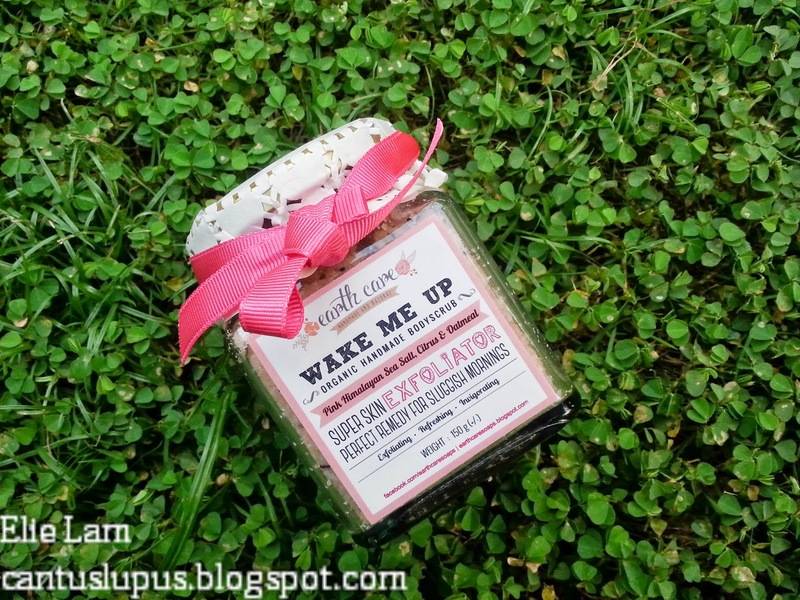 This 150g organic handmade scrub goes at RM 24 per jar and should be kept dry at all times. In fact, you can even put it in the refrigerator to keep up to 3 months! For someone who isn't a believer of these things, Earth Care soaps have someone given me a different perspective to such relaxingly good feels. 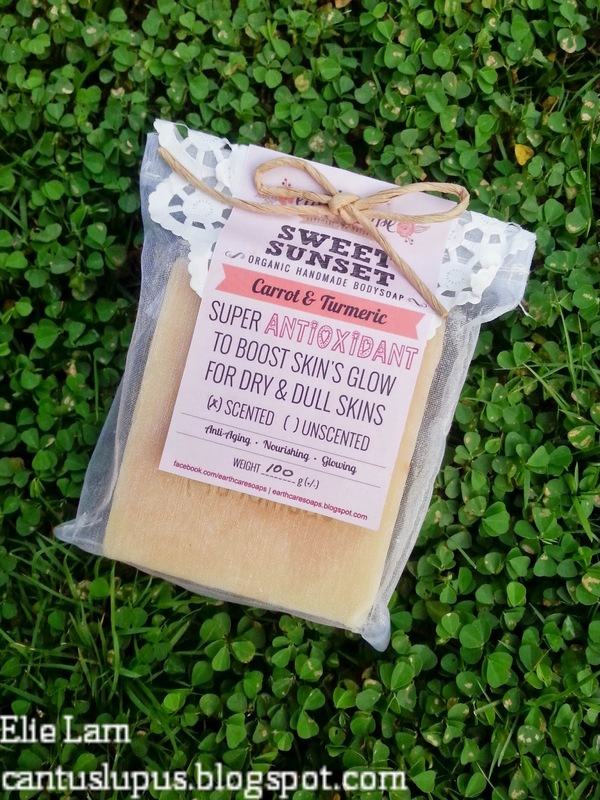 You should also be checking out their lip scrubs, lip balms and various other goodies that they offer because they're all organic and all homemade. Nothing like knowing the products you're using is safe for yourself and the environment, right?